The fall of 2007 represented both the best of times and the worst of times for me. On the personal side, I was reeling from a bad break-up. Classic boy meets girl, boy takes girl for granted, boy loses girl. On the other hand, my business was growing—fast. One morning while reading Early To Rise (it was still four years until I would buy ETR from my mentor, Mark Ford), I discovered an invitation to an Internet Marketing seminar with Mark’s friend, Matt Furey. Matt was one of the original online gurus, famous for making millions with his exercise program, Combat Conditioning. He also was, and still is, one of the greatest email copywriters alive. Needing to get out of town for a personal break, Matt’s seminar came along at the perfect time. I signed up, grabbed a flight to Tampa, and hunkered down in the airport Marriott for three days of Matt’s wealth-building wisdom. I took so much away from that weekend—lessons on resilience and persistence, how to write emails using Matt’s “stream of consciousness” method, and even a decade-long friendship with a young go-getter named Nate Rifkin (now a regular ETR contributor). But the biggest lesson of that weekend will be my gift to you today. Start by setting a 7-day “bonus sales goal” for your business. This should be a number above and beyond what you expect to generate in a normal week. For example, Matt’s seminar was full of 6-figure business owners, so he set the bar high at $10,000. If you’re a brand new business, aim for $1,000. More successful business owners, like my friend Bedros Keuilian, might aim for $100,000+. Remember—this goal represents a boost in your sales number above and beyond what is normal. The next step is to ask yourself what you can do right now to hit that sales goal. Where is the low-hanging fruit in your business? In other words, what’s the easiest money to grab and how do you grab it? To help you answer the question, consider the following 4 prompts. Take out a piece of paper and make detailed notes as you go through them, because they will give you plenty of ideas for hitting your sales goal quickly. 1. Who has your customers? How can you “nab” them? The obvious answer here is your competitors. But since they’re unlikely to help you out, you need to think outside the box. For example, if you’re a real estate agent looking for high-end clients, then consider partnering with restaurant owners. Many high-earners enjoy eating at nice restaurants, so find a way to promote your personal brand at these locations. Then offer the restaurant owners affiliate commission on sales, or at least cross promotion. Here’s another example: If you’re a nutrition expert, reach out to fitness experts and gym owners. We all know that holistic health requires both exercise and nutrition, so make it easy for both businesses to offer the full package. Suggest a discount referral model for your fitness partner, then happily pay them affiliate commissions as they send you new customers. Sometimes, landing more sales isn’t about get new customers, but selling more to the ones you already have. That was the case in my business. At the time, I sold fitness info products (e-books and videos), and I had several products that I had not promoted in months. I put the products together in a bundle and offered them for sale at a massive discount. My raving fans were eager to invest and help me generate quick cash. 2. Who has your money? While it’s relatively easy to pinpoint other industries and businesses that might have customers interested in your product, you have to ask another question: Do they have money and are they willing to spend it on you? So, start with existing clients and asking them to refer you to friends. They are likely to warm to your business readily and are also likely to have similar income to your existing clients. As Matt has said (along with many others), referrals are probably the easiest way to hit your $10k goal. 3. Who needs your help? There are plenty of prospective customers out there who don’t know they need your help—they just know they have a problem that hasn’t been solved. Your job is to know what problems you can solve using your products or services, then find a demographic with those problems. Example: Many standard medical practices are moving away from standard appointment-based treatment. Instead, they’re offering concierge services. Practice owners saw the opportunity when they realized that patients were tired of dealing with insurance hassles and wanted to pay a simple, flat monthly fee with medical care they could count on anytime. Thus was born the concierge model. 4. What do you have to offer? Know what you can offer—both for free and at a set cost—so that you can match demand with supply. In the case above, everything was already in place for a concierge medical model. Practices just needed to restructure and change their billing practices. For nutritionists, discount referrals are easy to set up for fitness clients looking for holistic health guidance. And you can even make a point to do onsite consults at fitness facilities and gyms before people sign up. Real estate agents can offer concierge-style service to make home buyers and sellers feel at ease in their buying/selling process. Supplying lists of recommended inspectors and banks—which any agent should already have on file—makes life easier for anyone navigating the real estate market. So what’s the end game? Cash flow. All of these methods easily and quickly grow you client base so you can hit your $10k goal. With that $10k, you can reinvest in your business to grow faster, pay down debt, take a vacation, or hire that assistant you’ve needed for so long. Just one word of warning: As you set up offers, discounts, and deals to attract new clients, don’t alienate existing clients. Create value for everyone, always. 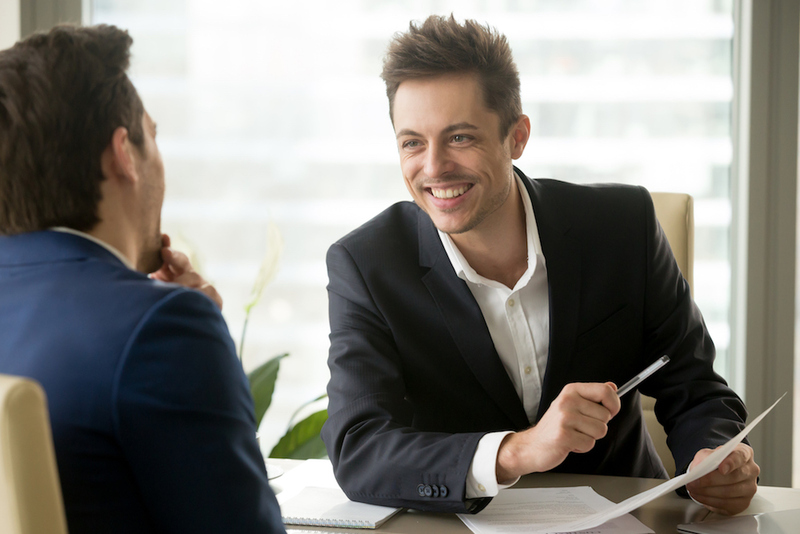 So, if you have a special sign-up deal for new clients, be sure to offer longstanding customers an equally attractive deal—a free seminar, valuable products for free, or one-on-one consultations. In other words, as Matt says, play the long game. Balance the pursuit of both the low-hanging fruit afforded by new customers and the ongoing revenue of loyal customers. That wisdom is as valuable to me today as it was 10 years ago. It made me wealthy, helped me forget my heartache, and turn an important corner in life. I know it will do the same for you. Sales is all about persistence and routine. Have you tried this award-winning routine yet? Are You Overparenting Your Child?